It's Spring! After a looong rainy season, California is past the drought and reveling in spring produce. 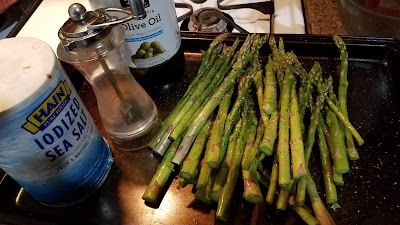 My beloved Berkeley Bowl has been running asparagus specials, and since it's not too hot yet, I decided to roast some with olive oil and parmesan. 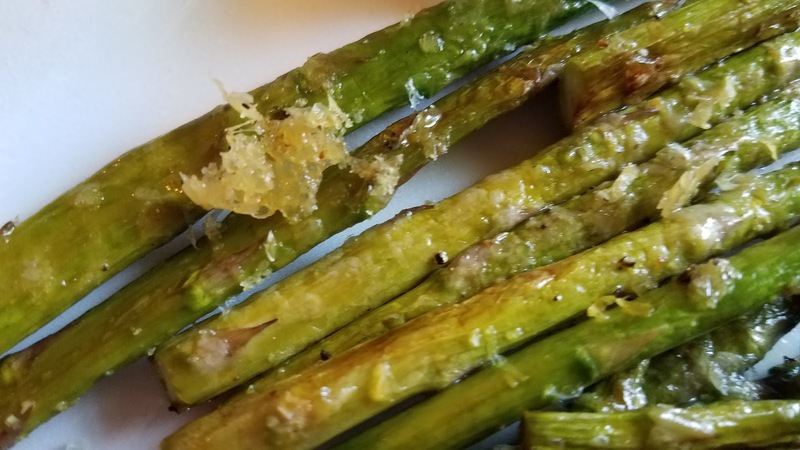 Last week, I tried doing the same with green beans. It was also good, but not nearly as special. 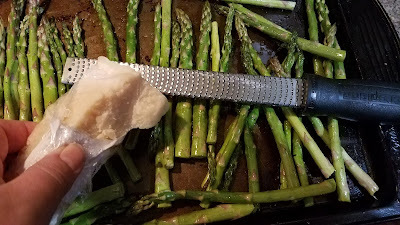 I got this particular technique from Tyler Florence, with the grated cheese all over the pan forming tiny fricos in between the spears. Preheat the oven to 400. Wash and pat dry 1 lb asparagus tips (or whole asparagus with the woody part at the bottom cut or broken off). 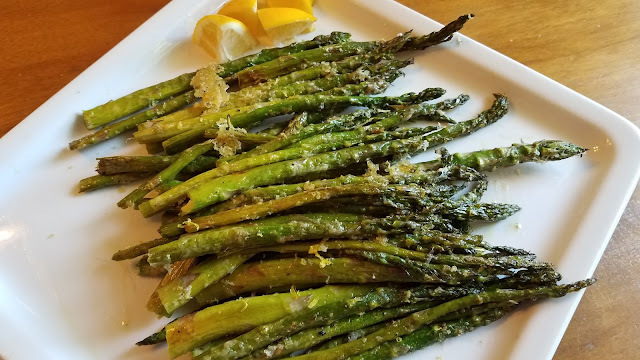 Drizzle with 1-2 Tbsp olive oil and sprinkle with just a touch of salt. Grind fresh black pepper over the top. Spread in an even layer on a baking sheet, preferably one with a rim. Don't line with foil because you'll want to be able to scrape up all the melted cheese on the bottom of the pan. Take out a microplane or similar grater and grate some fresh Parmesan generously over the top. 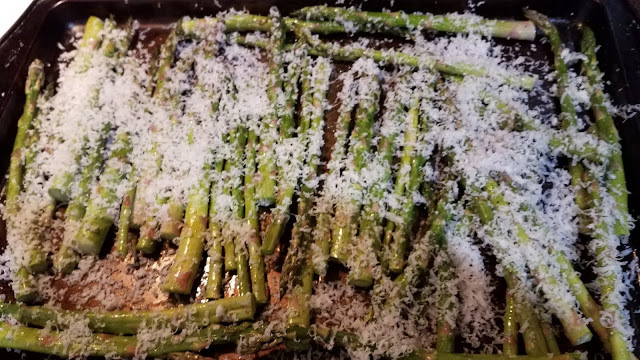 It's important to use fresh grated parm here or you'll end up with some odd, unmelted white powder and yellow lumps thanks to the cellulose added to the pre-grated kind. Did I mention generously? This was a little less than I wanted. 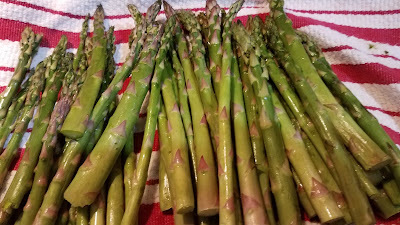 Roast at 400 for 10-12 minutes depending on the thickness of the asparagus. 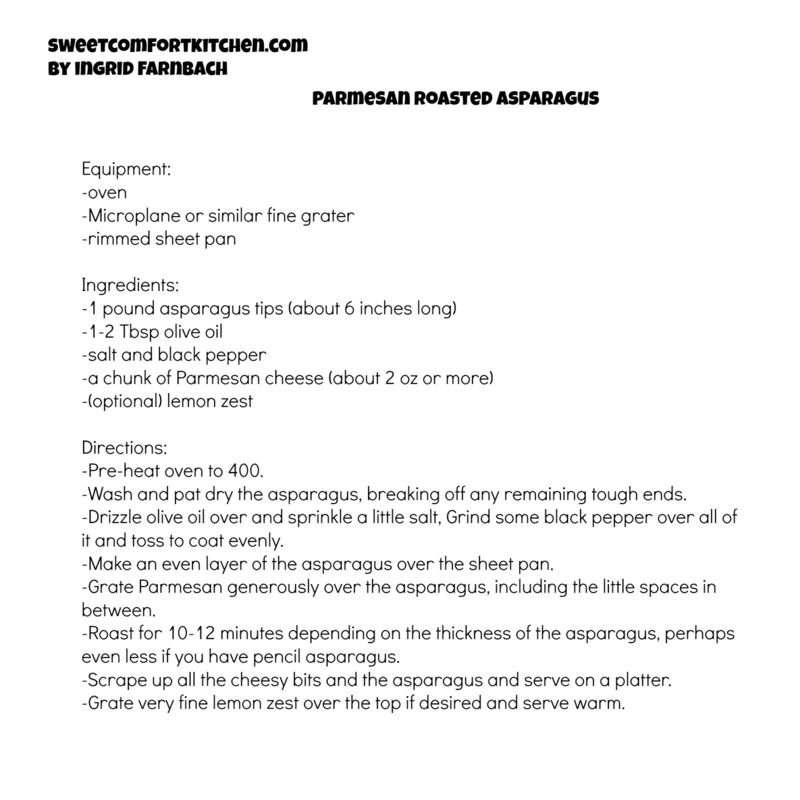 After that, you'll have a lovely pile of roasted asparagus with some bonus frico in between! Scrape it all onto a platter and serve. Using that very fine grater again, grate a little fresh lemon zest over the top.